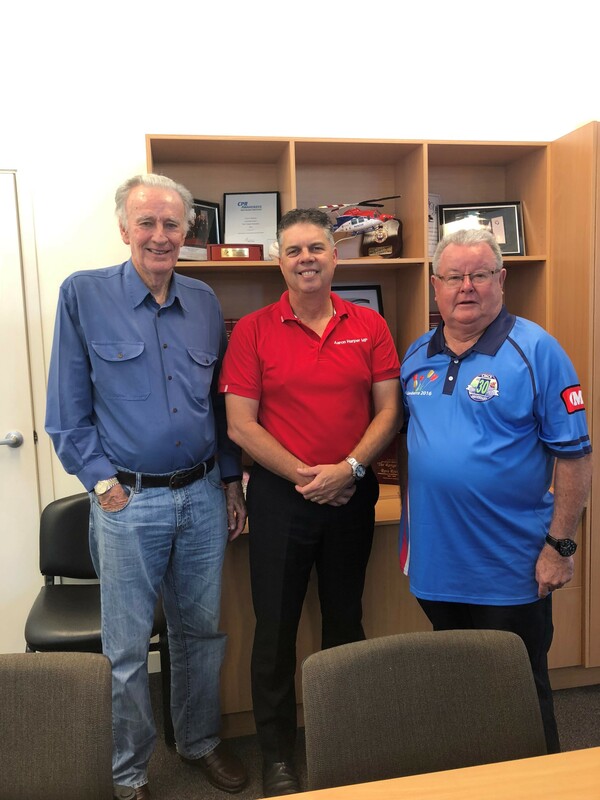 This morning, chairman Garry Lee and director Gary Rebgetz had a meeting with Aaron Harper MP, Member for Thuringowa. Aaron was particularly interested in some Queensland Government dump point funding after CMCA recently received significant funding from the NSW Government towards dump points across rural and regional NSW. They also spent time discussing the recently announced 2% Luxury Car Tax that will affect our members that purchase RVs over $100,000. A very productive discussion was had.